This evening the news was announced that Nelson Mandela, the first black president of the nation of South Africa, had passed away. He was 95. First, he was one of the last world-wide icons. His struggle with the minority regime in South Africa is legendary. 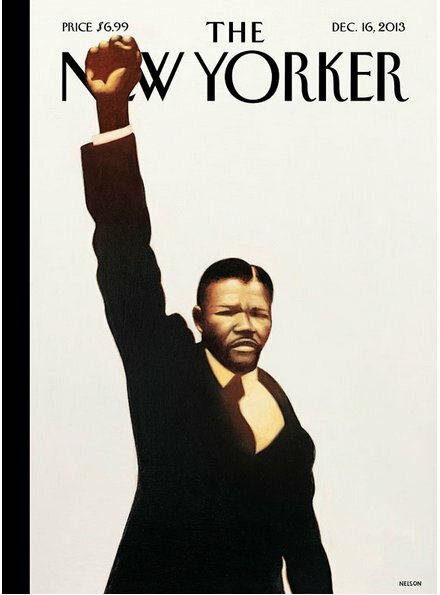 As South Africans suffered under the imperialist strong hand of Great Britain and were responsible for countless murders including Steve Biko and others, Nelson Mandela because the embodiment that you can be jailed but not broken, ridiculed but not defeated, and in spite of the odds, if the Lord be for you, you will not be defeated. Secondly, he showed that progress is not a one-person operation. Mr. Mandela refused to try to move hundreds of years of enslavement and disenfranchisement by himself. He built a coalition of religious leaders, Desmond Tutu, Allen Boesak and others, and reached out to the economic community and activists to formulate a boycott or economic withdrawal of companies who did business in South Africa. The government policy of apartheid met a worldwide coalition that would not allow their racist policies to stand. Lastly, he showed that age is not a factor. Although he died at the age of 95, he was entertaining world figures – Presidents, leaders, athletes, personalities and such literally until his body could not take it. But imagine that he became the first black president of his nation at the age of 76. Way past the US retirement age. Way past the Social Security retirement age. At that age, Madiba (his Xhosa tribal name) found himself not only at the helm of a nation that once imprisoned him for 28 years, but also with the loving support of his people. He will soon be feted with a state funeral and I would be surprised if this is not the largest gathering of Presidents, Potentates and Kings in the history of the world. He brought people together in life and he will do so in death.